Place octopus in a large pan with plenty of water and boil for 2 hours. Remove from heat; wash and remove the skin. 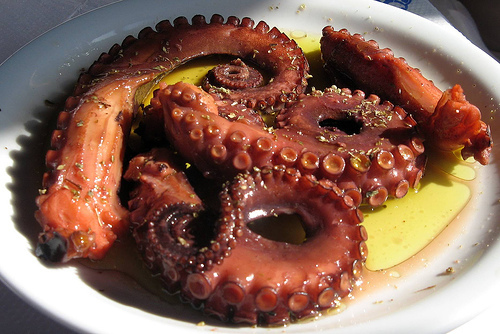 In a bowl, combine all the ingredients, except the lemon juice, and add octopus. Mix well, cover, and refrigerate for several hours or overnight. When ready to serve, stir in the lemon juice.